Right after the sightseeing in Moscow Sergiev Posad tour is the most popular place to go during a Moscow visit. The cultural wealth of Russia is formed not only by the grandeur of monumental, architectural and artistic heritage of big cities, but also by unique historical sites and attractions of small towns and villages. For those who feel like breaking away from the rapid and noisy life of Moscow Sergiev Posad tour gives the opportunity to visit the scenic Moscow localities. For hundreds years this place was a popular pilgrimage site for Russian people. The Trinity-Sergius monastery, which is in the center of the town, started out as a remote settlement in a dense forest when it was founded in the 14th century by St. Sergius. Sergius was an hermit. 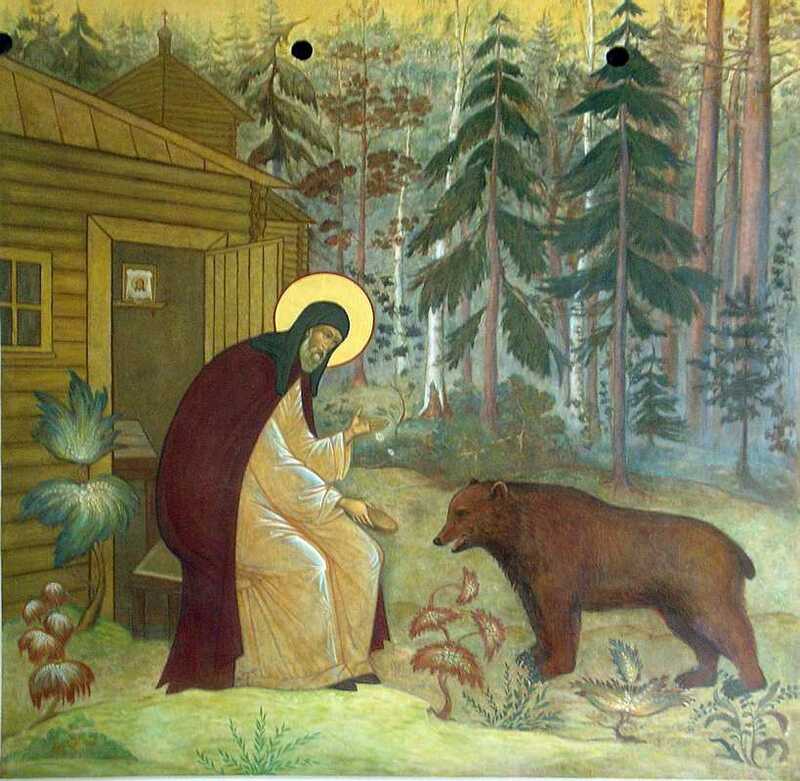 Miraculously he was not eaten by wild beasts when he was living all alone in the forest: a clear sign that he was blessed. Sergius did not plan to become a Father Superior of a populous monastery, but so it happened. Now there are several hundred monks there. During the Sergiev Posad tour the guide will regale you with stories regarding his outstanding personality. St. Sergius monastery is not only an important religious site, it is an outstanding architectural ensemble. The guide will give you some perspective about the buildings and will show you around inside them. 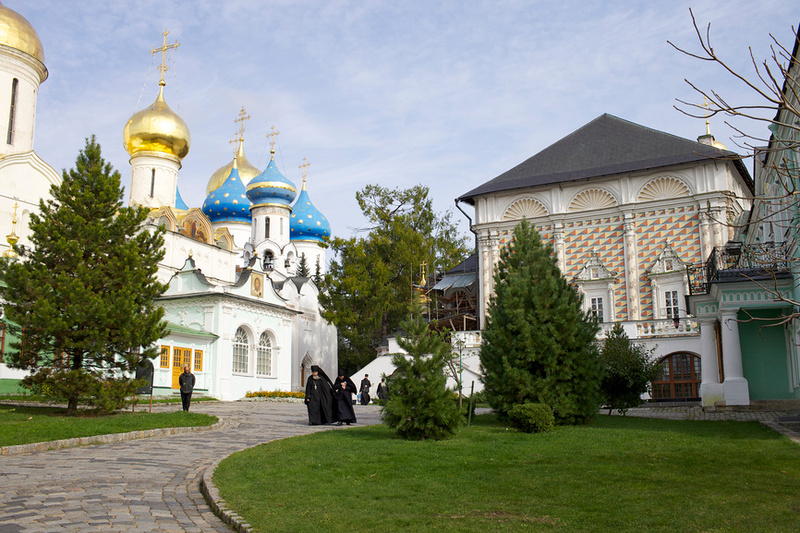 During the Sergiev Posad tour you will get introduced to monks' life and Russian Orthodox traditions. This town is also a place where the first Matryoshka, the classic Russian nesting doll, was made in the beginning of the 1900s. A visit to the Toy Museum can be included in the Sergiev Posad tour on request. The way from Moscow to Sergiev Posad takes 1,5 – 2 hours driving or 1 h 15 min by train from the Yaroslavsky railway station which is especially convenient for those who are staying at the Hilton Leningradskaya Hotel. In any case the guide will meet you at your hotel. On arrival from Moscow Sergiev Posad tour lasts about 3 hours including some time for lunch. 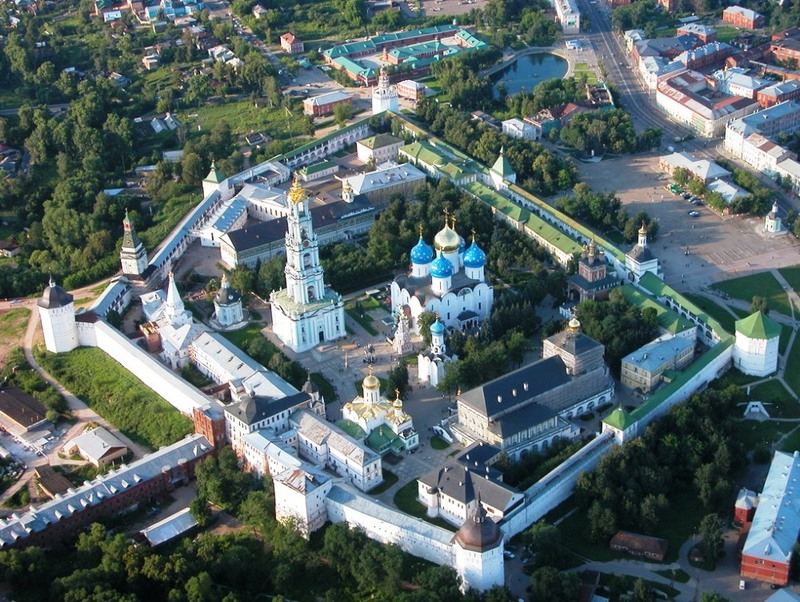 The monastery gave its name to the surrounding town – Sergiev Posad. The town is 1,5 - 2 hours driving from Moscow. Your private guide and the driver will pick you up from the hotel and will drop back. It is also possible to reach Sergiev Posad from Moscow by train, which is cheaper and sometimes faster. Tour cost : 240 USD.